Xena Fans For Life, Unite! Fifteen years after the last episode of the fan-favorite Xena: The Warrior Princess last aired a reboot might be in the making. The series amassed a cult following thanks to its LGBT stand, and this further fueled the success of this series that is now in the making for a seventh season. Although it has taken long for this to be done, the fact that it is finally happening is great news to the millions of fans across the world that last saw the two heroes separated in one of the most emotional episodes in TV history. The new Xena show will feature the two characters and it is believed that this time, the chemistry between the two will be even greater. Announced earlier this year that this reboot will surely be taking place and the fact that the relationship between the two heroes could only be shown subtextually as it was still in the 90s now seems like it will be on a whole different level. Fans can only hope that it will be as amazing as it was back then. The series started airing in 1995 as it was a spin-off of the popular Hercules series and not much was hoped out of it, but it surpassed its expectations with each season and episode. It even got a cult following, and the two heroes are regarded as LGBT and Feminist icons of this era. The series got a lot of viewers with each episode, and this further propelled its fame to new heights. There was a lot of doubt as to how successful the show would be based on what it was based on but the fact that it transcended the laws of TV at the time and got a large following it is why it is a great show. The show stood for a lot and at the time, the representation of the LGBT community on TV was low, and this show gave them a platform that has been seen as stepping stone for many that came after this show. NBC is the parent channel that will air this forthcoming season, and the reboot is expected to be amazing as far as what the writer of the show has promised. Javier Grillo-Marxuarch has promised fans that they can expect nothing short of one of the best shows that they have seen in a long time as he was answering fans questions regarding the reboot recently on a popular online platform. The chemistry between the two heroes that is Xena and Gabrielle is said to be revived, and the show ill put that on a broader and wider scale that the original never really did due to the constraints of the time. So fans that are eagerly awaiting this reboot can expect nothing short of one of the best shows of their youth brought back to life in an even better view that they never saw before. There is no doubt that Grillo-Marxuarch will make this one series that will keep the eyes of fans as well as new viewers glued to their TV screens. This post was sponsored by Joe Knape, P.A., a criminal defense attorney who is doing great things for his clients. Check him out if you’re in the area; he can help you too! The Xena video game is a hack and slash-oriented adventure game developed by VU Games and published by Electronic Arts. It has many similar features with Eidos’ Fighting Force with a sword, and the 3D version of Golden Axe, which is also a hack and slash oriented video game. The game is available in a Game Boy and PlayStation 2 Version. Each of the two versions is mainly based on the Xena: Warrior Prince Series, which was aired on television between 1995 and 2001. The game involves playing like the television series’ title character that works hard to rescue his companion, Gabriel from a fate worse than death by fighting the alien forces that captured her in the first place. The game offers a three a 3D environment where you engage the opponent through slashing, kicking and jumping is a third-person perspective. It involves the use of button combinations to produce special combo moves that resemble those featured in the show. However, in most cases, the mashing button seems to work well alone and you may not require using other combinations. Along the fight, Xena uses various tools such as power-ups and trademark chakram. Chakram is the bladed Frisbee that she always chucks around. The chakram is thrown with the help of perspective switches that allow the player to throw it in a spinning circle and hit the opponent. Although the weapon propels back after hitting the target, Xena is defenseless while the Chakram is in the air. Use the weapons carefully, especially when you are under attack by the archers perched-up above or you are being attacked by many opponents attacking from the ground. A chakram is a powerful tool that assists in cutting chains, flipping switches and picking off opponents at a distance. The opponents use different tactics that make it harder to target. In fact, they normally use hostages to defend themselves making hard to hit at a distant. Xena involves minor puzzle-solving and platform-jumping sections. The camera keeps on swinging making it hard and sometimes take too long to catch up with your characters. Furthermore, the controls that are used to adjust the camera manually seems too slow to be used in tough situations. Although the camera does something right, it sometimes causes obstacles that even make Xena to go translucent while in action. However, with suitable graphic capabilities, it will be very unlikely to encounter such a problem. CFA prize fulfillment company are our fantastic sponsors for today. Thanks for your support! Six seasons and 100 episodes are what this popular TV show got to put out in its phase. So, getting to pick out the favorite episodes is hard as the series was just memorable and each episode was in itself exceptional. However, there is no doubt that there are some episodes that stood out in Xena: The Warrior Princess. Below are those best Xena episodes out of the whole 100 that aired. If you have the entire concept of the mythology, then th9is is exactly what this episode was about. Before his gifts to man are forever lost, Gabrielle and Xena have to try and rescue one Prometheus. While they are on the way, they meet Hercules and Lolaus, and they learn much to their dismay that Prometheus’s rescue comes at a high price. What this episode did was to solidify the role of Xena in Hercules’s life whole at the same time establishing each as a separate hero that is great in their rights. Although a crossover wasn’t the best of things for the two series this set the tone on what Xena was going to be based on and it was a great effort. By the end of this particular episode, the two heroes are broken. As Gabrielle reunites with her daughter, Hope, Xena on the other hand also does the same with her son Solan. Working with Callisto, Hope causes a lot of trouble for the centaurs. Being forced to end Hope’s life, Gabrielle has a tough decision to make at the end. Hope is the cause of Solan’s death, and this is why Gabrielle has to kill her. As the bond between these two heroes seems to be at a state of pieces, there are a lot of emotions that this particular episode throws around for the audience. This is a two-part series season finale that has always been a must watch for any fan of Xena: The Warrior Princess. Travelling to Japan to stop a ghost that has a lot of connections with Xena’s past our two heroes must journey there. To save the souls that were lost, the warrior princess has to die and remain as so. Despite the fact that it was an emotional episode watching Xena die, and Gabrielle has to continue on her own, it is overall a must watch episode for any fan of this series. Xena: Warrior Princes, a fantasy TV show created in 1995 is a spin-off of the show Hercules: The Legendary Journeys. The series tells the tale of Xena, a Warrior Princess with a dark past, and her travelling companion Gabrielle, a town bard. Xena sets out to redeem herself for the dark deeds she had done in past, using her superior fighting skills to help common people, for the greater good. The character appeared as a dark character initially in Hercules, as a powerful warlord, for the first few episodes. Then Xena joined Hercules to defeat the warlord Darphus. In her own series, Xena is seen always fighting for the greater good, trying to do the right thing, on mission against cruel Warlords and Gods using the two primary weapons:- a Chakram and a sword. She also fights her own past, resisting the urge to revert to her dark ways, but she prevails the temptation with the help of Gabrielle. Gabrielle was introduced as a fan of Xena initially, but her character, costume and style developed significantly with the progress of the series. From a simple farm girl, Gabrielle emerged as a talented bard, and also a formidable warrior, trained by the tribe of Amazons, and Xena herself. Joxer the Magnificent and Mighty is another recurring character who was mainly a comic relief and a close friend to Xena and Gabrielle, whose goal was to fight for justice. Xena and Gabrielle had two major enemies: Callisto, a sadistic warrior who wants to exact revenge on Xena; and the Greek God of War, Ares. Callisto is portrayed as Xena’s Arch-rival, because her village was burned to ground by Xena in her childhood, killing her family. Callisto became insane and obsessed with plotting revenge on Xena and her associates. Ares on the other hand, represented the power of war and dark side, who wants to seduce Xena away from her quest, to get her as his Warrior Queen. 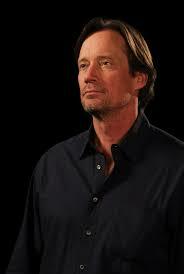 He tempts Xena with great power and wealth, huge armies and victories, which Xena rejects consistently. Other major antagonists of the show includes Caesar, an arrogant roman patrician, who tricked Xena into captivity, and her crucifixion, subsequently, breaking her legs. Alti, a power hungry evil shamaness from the Amazon tribes of Siberia is another major negative character. She had the power of inflicting pain and suffering from the past and future on her victims, which ultimately backfired against Xena, showing her visions from future which gave her the mental strength to defeat Alti. Xena and Gabrielle’s children were also introduced in the show. Xena gave her first child, Solan to a group of centaurs, who did not knew Xena as his mother. Gabrielle was impregnated by the dark god Dahak, and gave birth to a girl she names Hope. Hope had dark supernatural powers. Hope killed Solan and was then poisoned by Gabrielle herself, when she knew hope can never have redemption. Callisto, as an angel, revived Xena and Gabrielle, and make Xena conceive a daughter named Eve who was prophesied to bring the Twilight of Olympian Gods. Xena was granted the power to kill gods as long as her daughter lived, and she killed most of the gods on Olympus to save her daughter. Xena herself was mortally wounded but Ares gave up his immortality to heal her. For the best Foundation Repair Services Dallas call Metroplex Foundation Repair! The legendary journey is a TV series which was aired in the years 1995 to 1999. Its main feature is the journeys of Hercules and xena in the ancient world. Xena who is also referred to as the destroyer of nations and the warrior princes was a legendary figure in the ancient Greece and throughout the world. 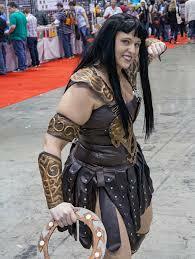 As a war lord, Xena was the leader of the most destructive and ruthless armies which the world has not seen. She was travelling with her lover Borias to various countries with an intention of making her name feared and known. The most noticeable countries were Britannia, Norseland, Jappa, Siberia and chin. She attempted to work on the path of redemption after she was redeemed by Hercules. Gabriel was her best friend in the beginning but later on she implied him as her soul mate and lover. Apart from the countries mentioned, Xena was able to travel to many places such as Egypt and India fighting for the greater good. This made her to be one of the greatest heroes of that time. During the period of her late teens, the village where Xena resided was raided by the war lord Cortese. After that incident, Xena organized a small number of individuals comprising of her two brothers (Lyceus , toris ) and simple villagers against her mother’s wishes. Unfortunately, lyceus was murdered during the battle. This made Xena to become ostracized and eventually forbidden to go back. As a result, her journey to becoming merciless and violent started. As highlighted in the context, she was traveling with her lover Borias and gave birth to Solan (Boria’s son). Her delivery was in the middle of the greatest battles which have never occurred before. This was a battle of Corinth between centaurs, herself and Borias. Along with meeting Gabrielle and Hercules, Xena claimed that one of her turning points was giving birth to solan. After Hercules set her on the path of redemption, she travelled with Gabriel to fight for the greater good. Her final journey was deemed that it was necessary to accomplish her quest for redemption. Years before meeting Hercules, they had traveled to Jappa with Borias. This was the time when she unknowingly caused the death of 40,000 people who lived in a large village. The souls were captured by yodoshi. Hence, it rendered them unable to cross to the other side. As a result, she had to die so as to fight Yodoshi. Consequently, she had to remain dead in order to protect the souls from condemnation again. After her death, she returned as a ghost with Gabrielle. Thanks to a boon which was given by the old C’thulon. Xena will be reincarnated across the millennia and her spirit will be return during her final death. Moreover, the spirits will posses the likes of Annie Day, Harryo’casey and Melinda pappas. The legendary highlights a TV series whose main actor is Xena. The woman is extremely powerful when it comes to wars. Eventually, she was redeemed by Hercules who was Xena’s main guide. It is very important to go over the legendary since it is very interesting. PTSD is no joke and there is no shame in getting PTSD counseling. If you have questions about PTSD or what counseling can do to help call Deer Hollow Recovery and Wellness. We’re still getting this site set up, but you’ll enjoy watching this quick video about the ten things you never noticed about Xena Warrior Princess…until now.